News: Corum Opens New Boutique in Paris. Located in the Heart of the Golden Triangle. 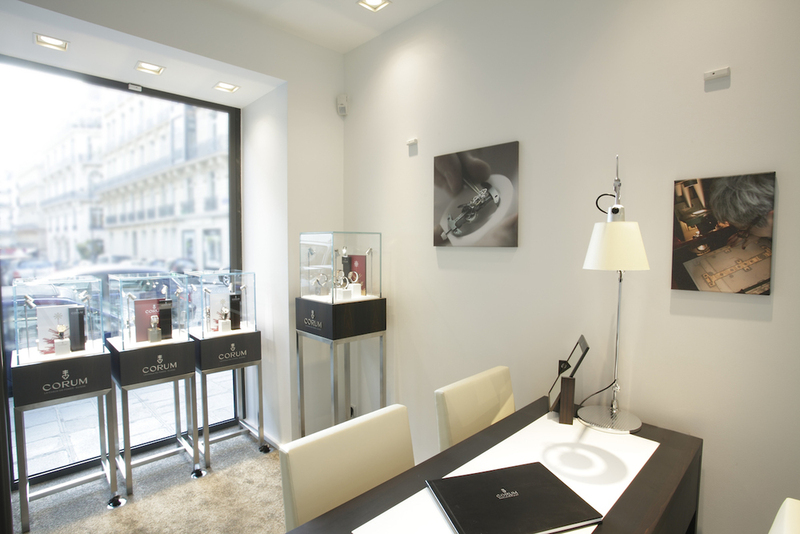 Corum opens new boutique in Paris' 8th arrondissement on Rue Pierre Charron. The new flagship store is located in the heart of the Golden Triangle, a high luxury area on the right bank of Paris and offering the finest showcase to celebrate the end of the year. Corum continues to strengthen its direct distribution by launching an exclusive new boutique in the heart of the French capital. It is in collaboration with Kronometry 1999 that the brand with a key “unlocked” this prestigious space entirely dedicated to the universe of the La Chaux-de-Fonds Maison. Nestled in a historical building, embellished by the charm of ashlar stones, the store is dressed in accordance with the codes of the brand: the purity of the white intersecting with the character of the ebony softwood. Adorned with premium materials, the boutique will receive the iconic collections of the brand, Admiral's Cup and Corum Bridges, plus a few timepieces of its legendary Heritage collection. This Haute Horlogerie store will offer not only a collection of exclusive timepieces, but also serve as a showcase for the history, know-how and brand philosophy. For more info on Corum click here. Posted on January 9, 2014 by Editor & Publisher and filed under News and tagged Corum New Paris Boutique.